It may be surprising to think that Rafter W Ranch would have anything to do with baby food, but we are tremendously interested in improving the health and wellness of all the land and people within our influence – babies certainly included. It’s a huge subject, but there are a few points we think are important and relevant to share with you here. First, the best food for babies, according to nearly everyone (WHO, AAP, etc) is human milk. And just like milk from other animals, it’s heavily affected by the nutrition of the mother. Pesticides, herbicides, heavy metals (even flame retardants) can contaminate breast milk, depending on Mom’s exposure (it’s worth nothing here that even with these contaminants, breastmilk is still the very best option for baby). What does that have to do with Rafter W Ranch? Every product in our shop is free from pesticides, herbicides, steroids, antibiotics, genetically-modified inputs. Our eggs and meat are higher in Omega-3 fats, CLA, vitamins A and E, and trace minerals. Superfoods for pregnant and nursing mamas means superfoods for baby. As baby grows and begins to show interest in solid foods, boxes of powder and jars of puree aren’t necessary or even ideal. The major nutrients in mother’s milk are fats, not grain-based carbohydrates (of course mother’s milk includes sugars like lactose, but since the milk is also rich in lactase, and other enzymes to break it down, baby’s system doesn’t have to do all the work of digesting it). Isn’t it odd then, that rice cereal is a common first food? 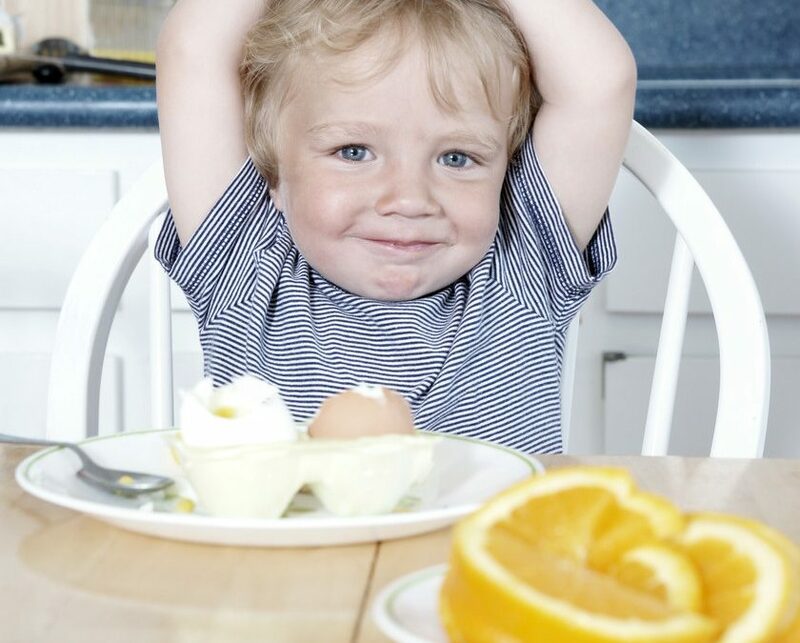 The Weston A Price Foundation has identified traditional first foods for baby which include pastured egg yolks (rich in brain fuel), even raw (organic, grass-fed) beef liver (rich in iron). Grains prepared to make them more easily digestible are appropriate as baby develops. Around the world, it is interesting that many first foods are typical, regular foods (often of animal origin) pre-chewed by the parent — this adds enzymes and begins the process of digestion. You can find more information and recipes in Nourishing Traditions Cookbook and Nourishing Traditions Book of Baby and Child Care. Feeding superfoods to your baby (and yourself, if you are pregnant or nursing) is an easy way to benefit baby’s brain development, minimize potential toxic load, and give them the very best start at living a healthy life. It’s also extremely affordable, since a baby’s serving of, say, grass-fed liver is quite small! A little goes a long way and yet maximizes the impact on your family’s health. That’s always been a driving force for our family and everything we produce reflects that commitment to health. Check our shop for availability or contact us for more information.